It is at the discretion of the court as to whether or not an eligible applicant will be further provided for under the Will. Not every applicant will be successful. The key is to seek advice from an expert in succession law. 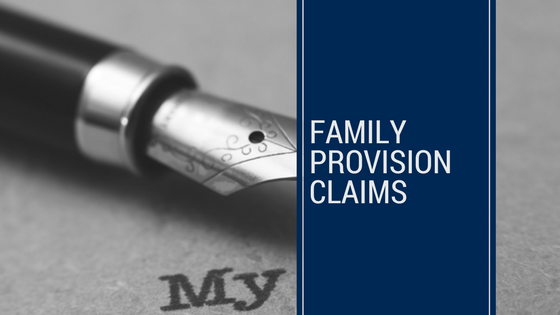 The important thing to remember with a Family Provision claim is that the test is not to establish what the deceased intended under the will. The court must simply decide whether or not provision ought to be made to the applicant based on a number of things. If you have been left out of a Will, you need to contact a solicitor immediately. There are very tight timeframes in which to exercise your rights if you have been left out of and have a valid claim on a will. If you delay you may lose your rights. Advice should always be sought urgently as there are tight time frames.